There are a lot of different forms of agreements that can be turned into legal contracts. And, just like legal contracts, agreements can also be legally binding and enforceable. One important part of a contract is a nondisclosure agreement. 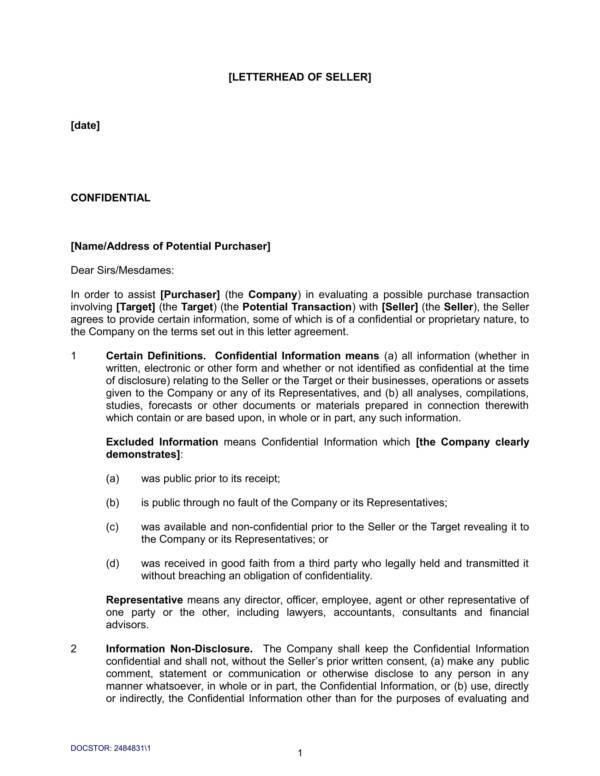 The agreement takes place between two or more parties who wish to share specific and confidential information within themselves but the other party should not share it with a third party. Utmost confidentiality is needed to ensure that the information handed to the group should not leak or be known to outsiders. 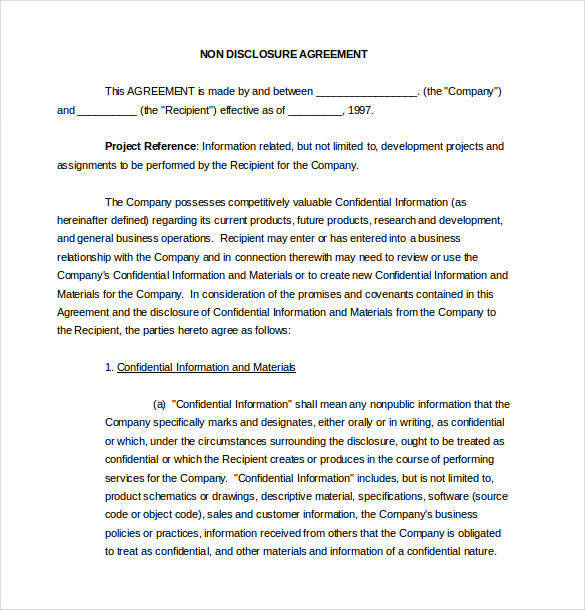 A nondisclosure agreement is also known as secrecy agreements, confidentiality agreement, and proprietary information agreement. Nondisclosure agreements can be part of a contract and it can also be a document on its own. Most businesses who are getting into a partnership contract with another business use nondisclosure agreements to ensure that the transaction they had will only be amongst them and to also protect any trade secrets from being left out in the open. There is indeed a lot to know about nondisclosure agreements and that is what we are going to find out in this article. 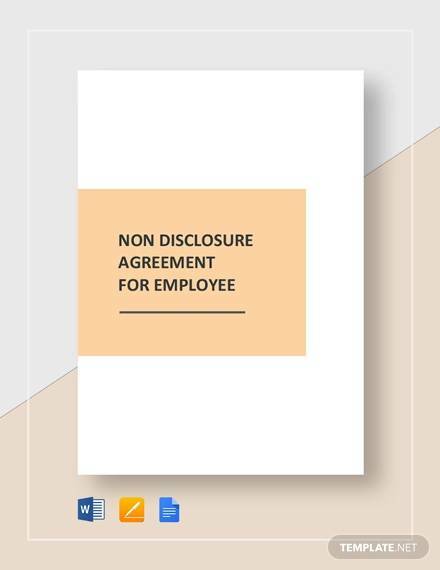 Nondisclosure agreements are used by different entities to protect certain information that they need to tell another particular entity but not to the rest of the public. These entities could either be individuals, companies, or organizations. 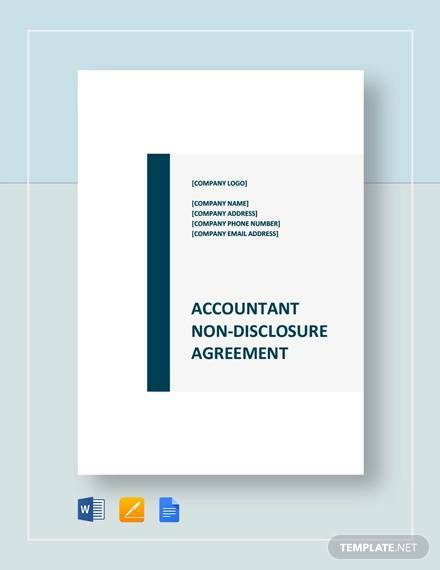 There are also different types of nondisclosure agreements that cater to the needs of both individuals or companies. They are the unilateral nondisclosure agreements, bilateral nondisclosure agreements, multilateral nondisclosure agreements, and precedent confidentiality agreement. 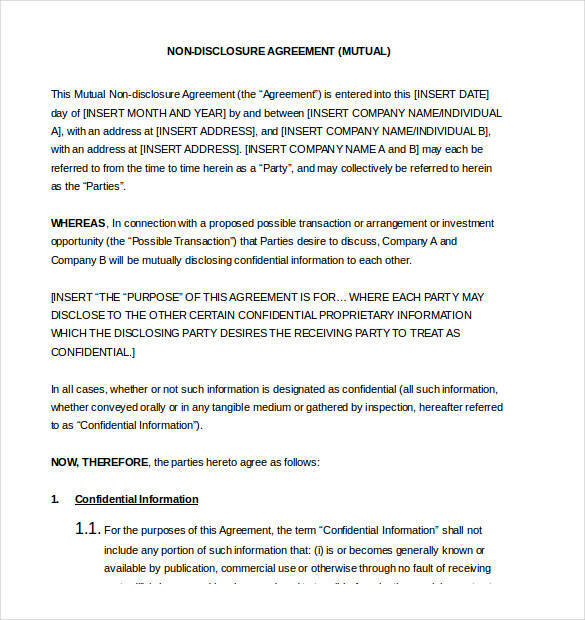 This type of nondisclosure agreement is also called a one-way nondisclosure agreement because only one party is sharing information while the other party being told agrees to keep the information confidential. 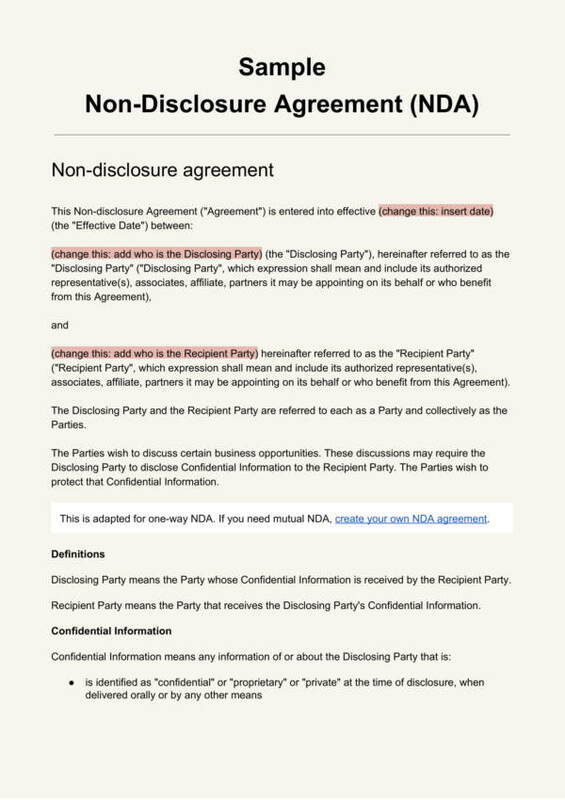 In a bilateral nondisclosure agreement, there is an exchange of information between the two parties who are involved or a nondisclosure agreement between two companies or party. 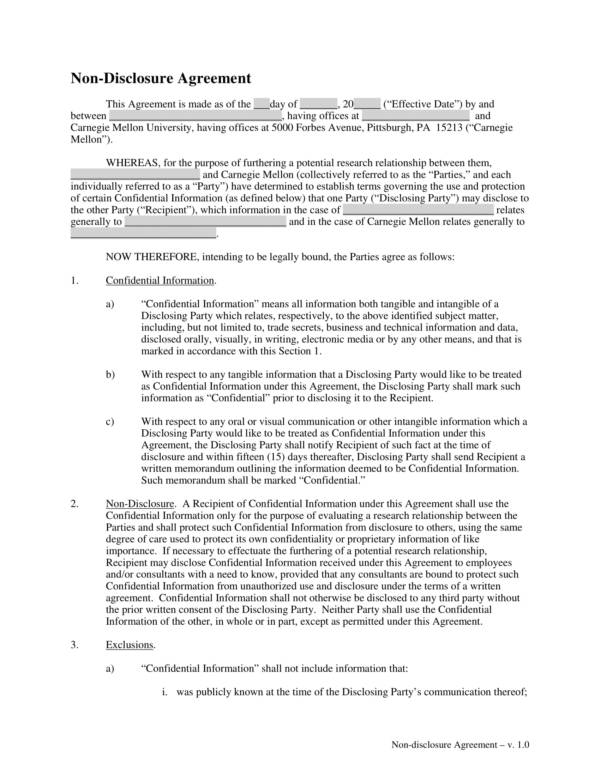 Unlike unilateral nondisclosure agreements, both parties agree to share important information and keep them confidential. It is also called a two-way nondisclosure agreement. 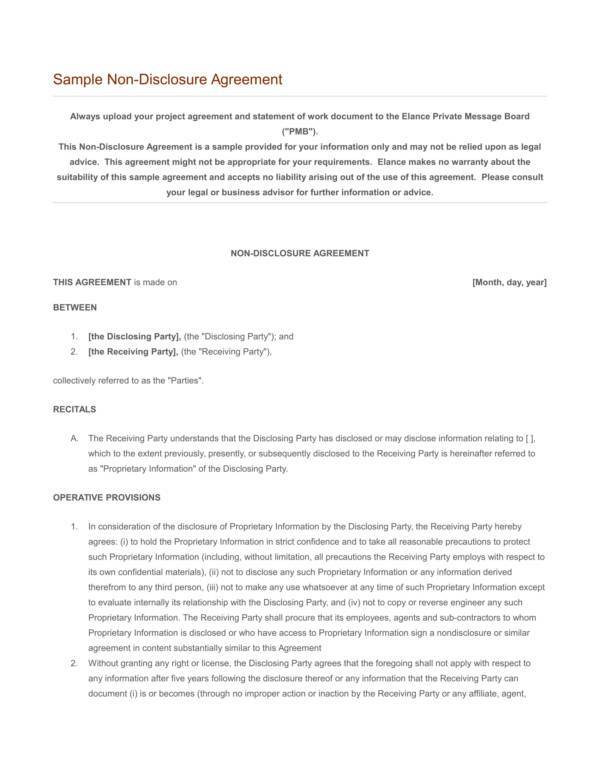 This type of nondisclosure agreement involves two or more parties wherein one party shares the information with other two parties. The other parties agree to keep the information confidential out of reach of any third party or outsiders. 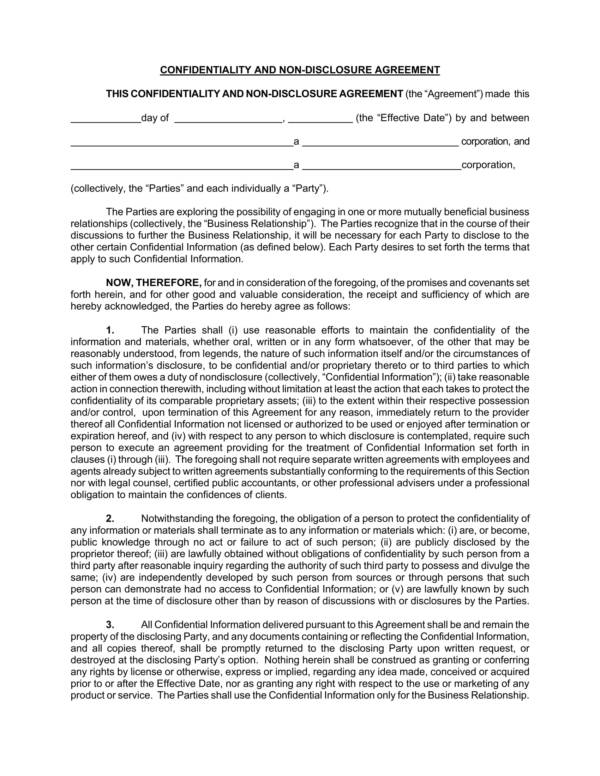 Another type of nondisclosure agreement is a precedent confidentiality agreement. This is often used by companies who intend to sell their business to other companies, or in the event of a merger and acquisitions. Before buying a business, one would need to look at every detail of the company’s assets and financial condition. These are information you wouldn’t want to get outside of the transaction, which can possibly happen if the prospective buyer does not go through with the deal. Having a precedent confidentiality agreement will save you from all that. 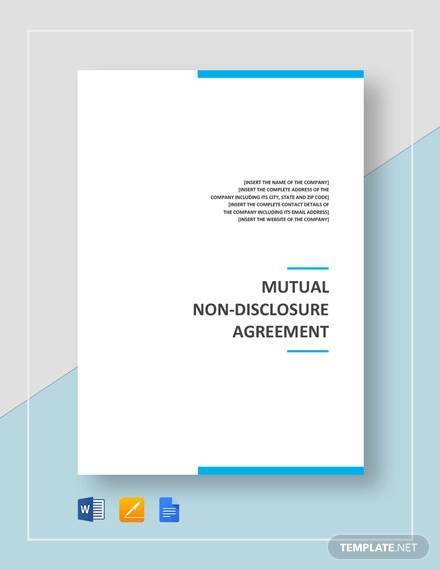 Learn more about basic agreements and contracts by checking out related articles, like mutual confidentiality agreements and requirements for a contract. Why are Nondisclosure Agreements Important? 2. It provides protection to an individual’s or entity’s top secret information by not allowing anyone to talk about it with people who are not involved in the agreement. 3. It binds those who are involved in the agreement, making them liable to any information leakages. If there is a breach of contract, they will definitely face legal charges. 4. Nondisclosure agreements are used to protect confidential and proprietary information, just like how warranty statements provide protection to their products and consumers. 5. In case of a breach, aside from facing legal charges, the breaching party also has to pay for the equivalent of the damage made or serve prison time. All this is possible with the use of a nondisclosure agreement. 6. The simple agreement allows one to have a peace of mind knowing that the confidential information that they have shared will not be exposed to anybody else. 7. Although the saying there are no secrets that are left untold hold some truth in it, it has never been a problem with nondisclosure agreements. The involved parties are only bound to the basic agreements as long as it is still effective or before it gets breached, either one goes first. 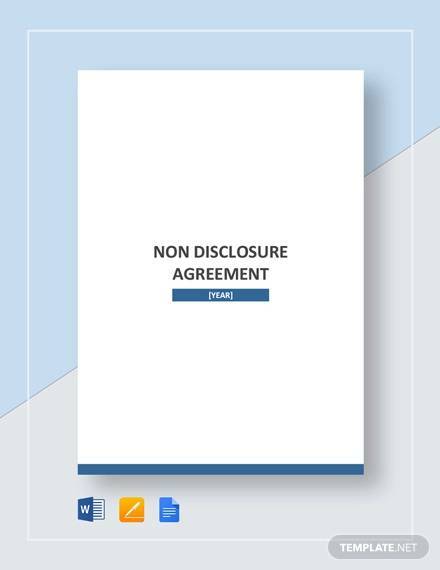 To further your understanding of nondisclosure agreements, you may check out the nondisclosure samples and templates on our website. There are different nondisclosure agreements for different transactions. Some examples are business nondisclosure agreements and employee confidentiality agreements. 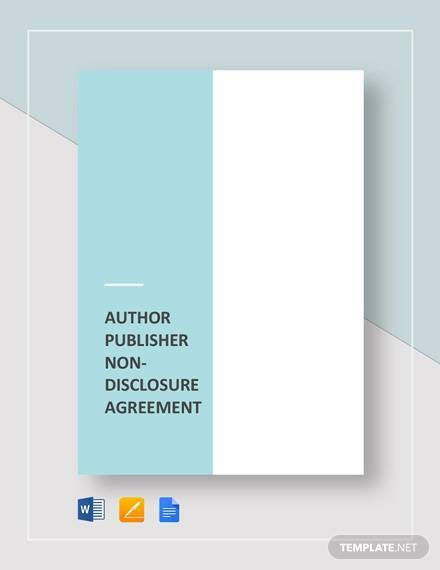 What Should Be Included in a Nondisclosure Agreement? Before getting yourself involved in any kind of contract or agreement, you should first research on what you need to expect and what you should see in that type of agreement or contract. It pays to do your homework, you know. It will not only keep you away from illegal stuff and fraud but, it will also keep you well-aware of what the agreement is all about, which will keep you out of jail. 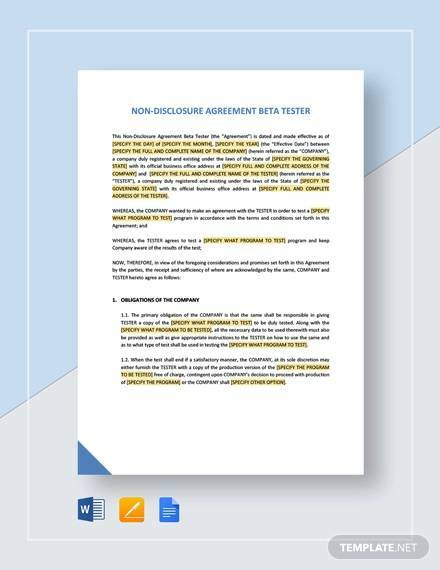 Below are the features that are included in a nondisclosure contract. A discretion of what the contract is all about. The definition of what is considered a confidential or proprietary information. The details of all the terms and conditions involved. 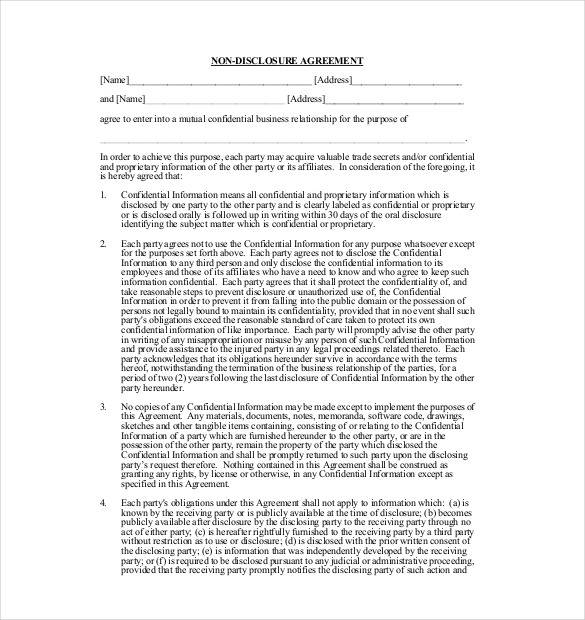 The names of all the entities or parties involved in the contract. A statement binding all those who are involved in it. The effective date when the agreement expires. The necessary clauses that apply to the agreement. The limitation as to whom and how the information can be shared with the involved parties. A reason or explanation why the names listed knows the information and their relationship with each other. The responsibilities and obligations of each party. What will happen after the agreement expires? What will happen if there is a breach? The signatures of all parties who have agreed to the agreement and the date it was signed. Other agreement-related topics we have in store for you on our website are general employment agreements, non-compete agreements, and joint venture agreements. How Long Do Nondisclosure Agreements Last? Nondisclosure agreements last as long as the contract or agreement is effective. 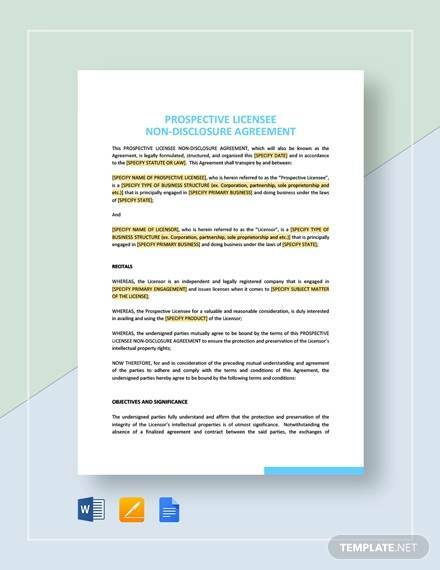 A simple statement about the specific date when the agreement starts and when it ends is disclosed to ensure that everyone is made well-aware of the information. 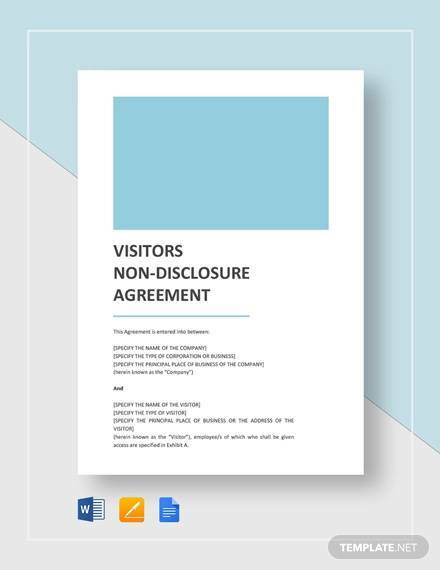 The limitation on the length or duration of nondisclosure agreement is based on the sole discretion of the party or parties who made the nondisclosure agreement. Another reason why a nondisclosure agreement would end is when a breach or violation has been done against it. 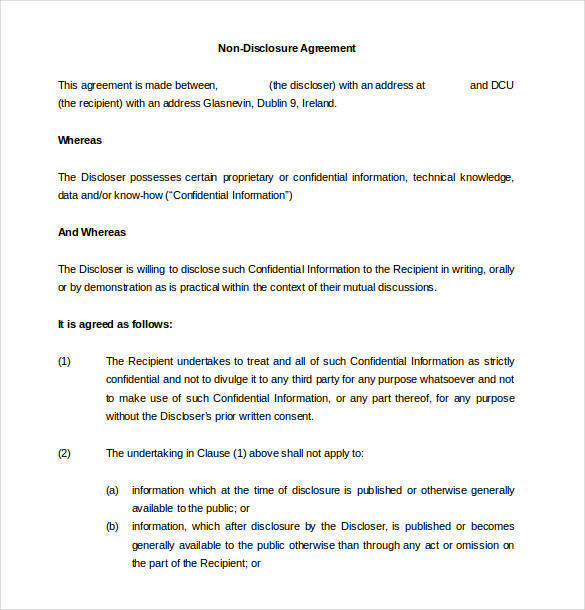 If this happens, then all the parties that are bound to the basic agreement are released from the responsibility of keeping the information confidential. Still, it doesn’t mean that they can just tell it to the public just like it is some casual, good-to-know information. They can still be charged and face consequences, just like the ones charged on the breaching party.